This pups gotta fly! Take to the sky with the Ultimate Rescue Helicopter! 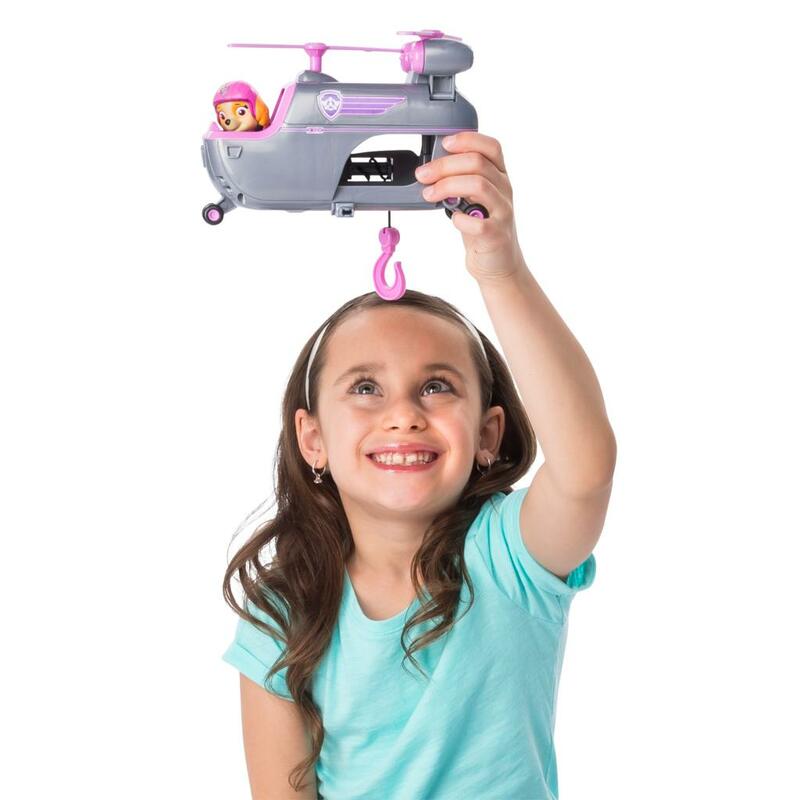 This helicopter is equipped with a moving propeller, flip-down handle and extendable rescue hook! With room for all 6 pups (2 figures included) on board, the PAW Patrol is ready for a ruff, ruff, rescue! Open the back door to load in the pups, then place Skye and Marshall in the cockpit and lift off. 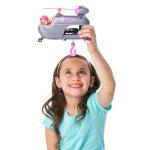 Pull on the pink lever and you’ll activate the rotating propeller, flashing lights and realistic helicopter sounds! When you and Skye spot a baby animal (not included) in trouble, pull out the extendable rescue hook. Place it around the baby animal and pull them to safety! For even more excitement, store an Ultimate Rescue Mini Vehicle (not included) aboard for last-minute rescues! 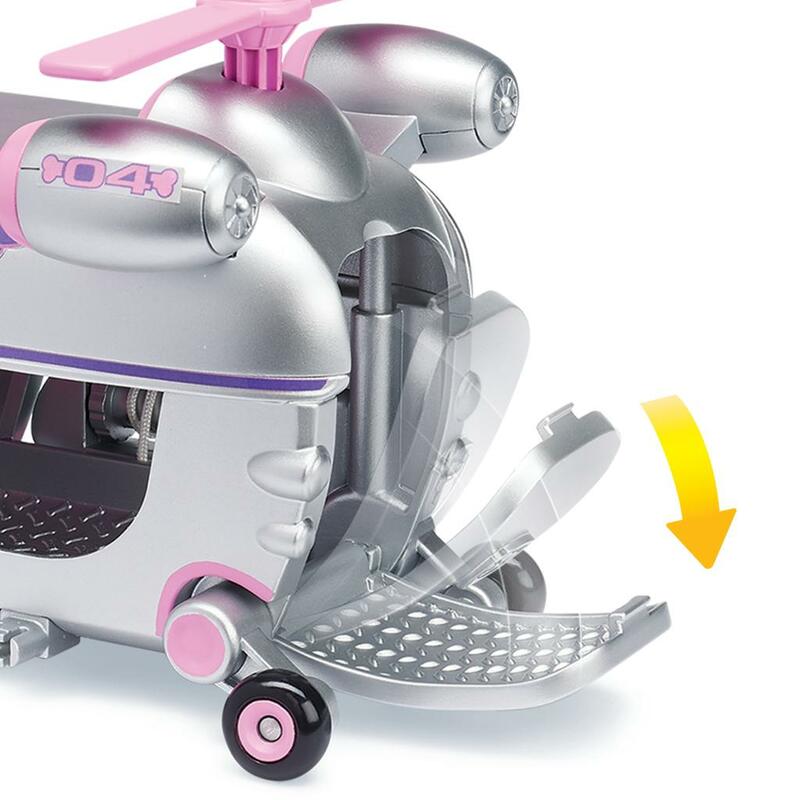 With flashing lights, realistic sound effects and an extendable rescue hook, this helicopter brings all the excitement of Adventure Bay into your home! 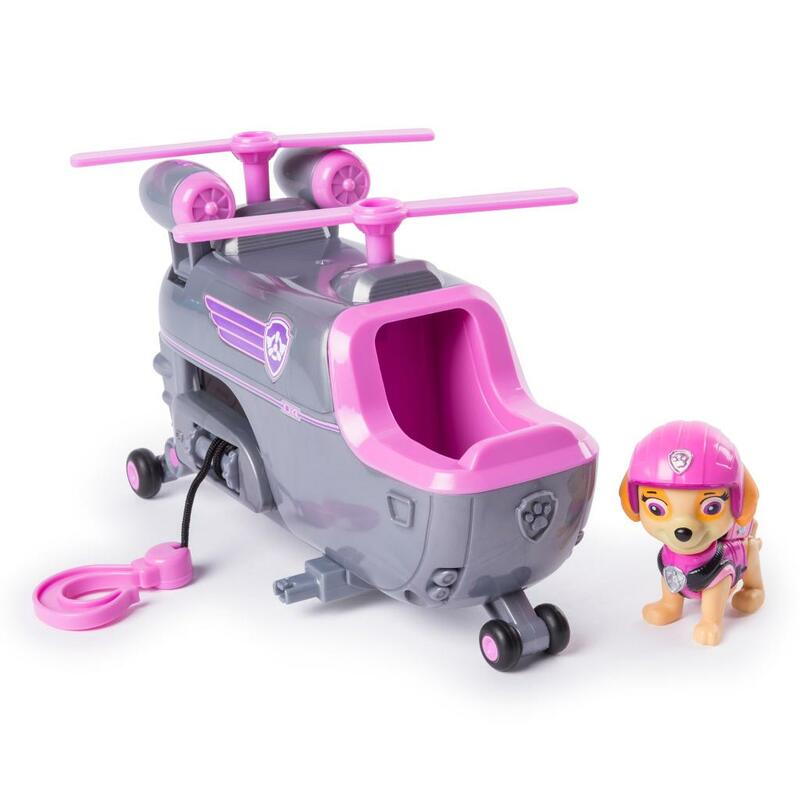 Join Skye on an action-packed adventure with the Ultimate Rescue Helicopter! HELICOPTER TOY WITH MOVING PROPELLERS: This pup's gotta fly! 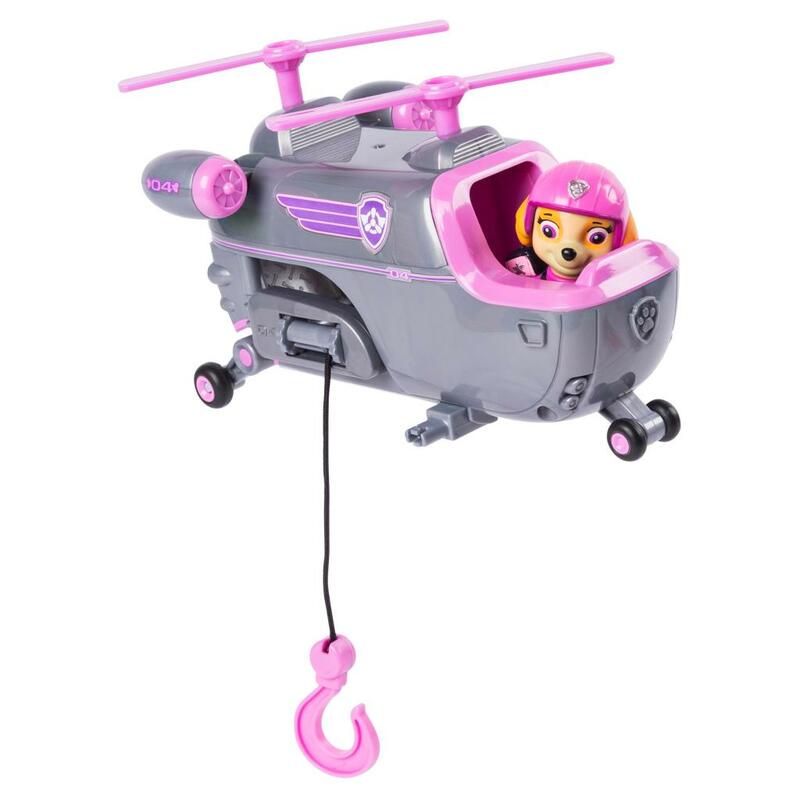 With working wheels, spinning propellers and extendable rescue hook, Skye's Helicopter is equipped for an Ultimate Rescue! 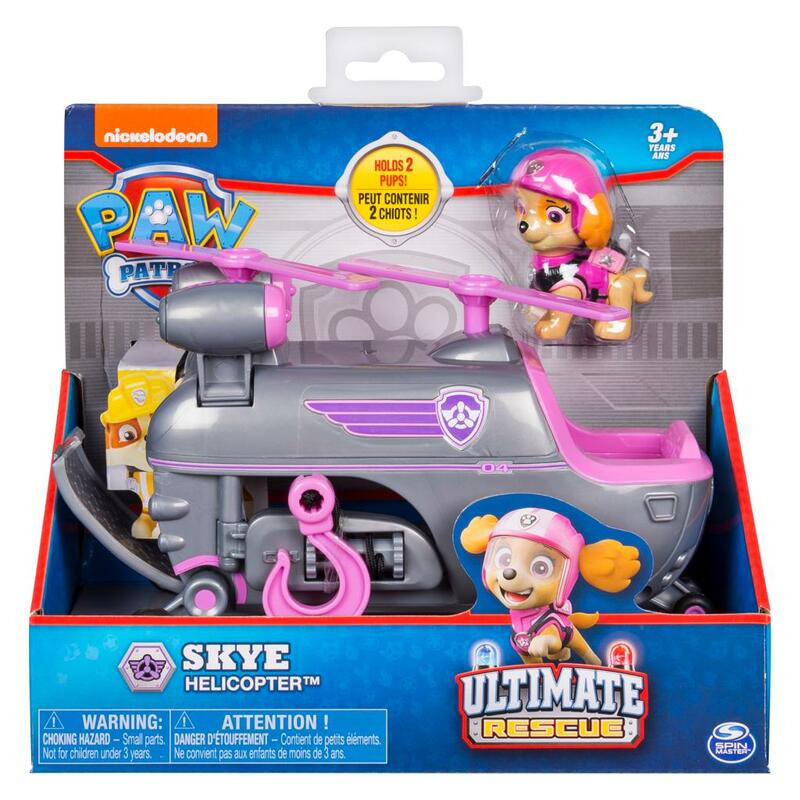 ROOM FOR 2 PUPS: Open the cargo door and load up to 2 of your favorite Ultimate Rescue pups (1 Skye figure included) into Skye's Helicopter! 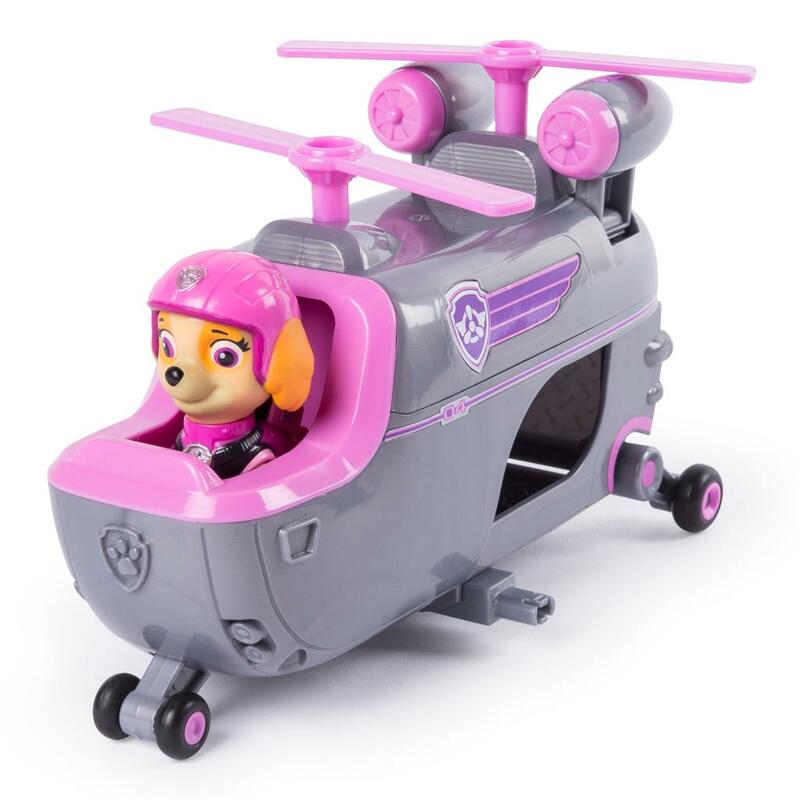 Featuring a cabin window, your pups can look out at Adventure Bay as Skye pilots them to a new mission! 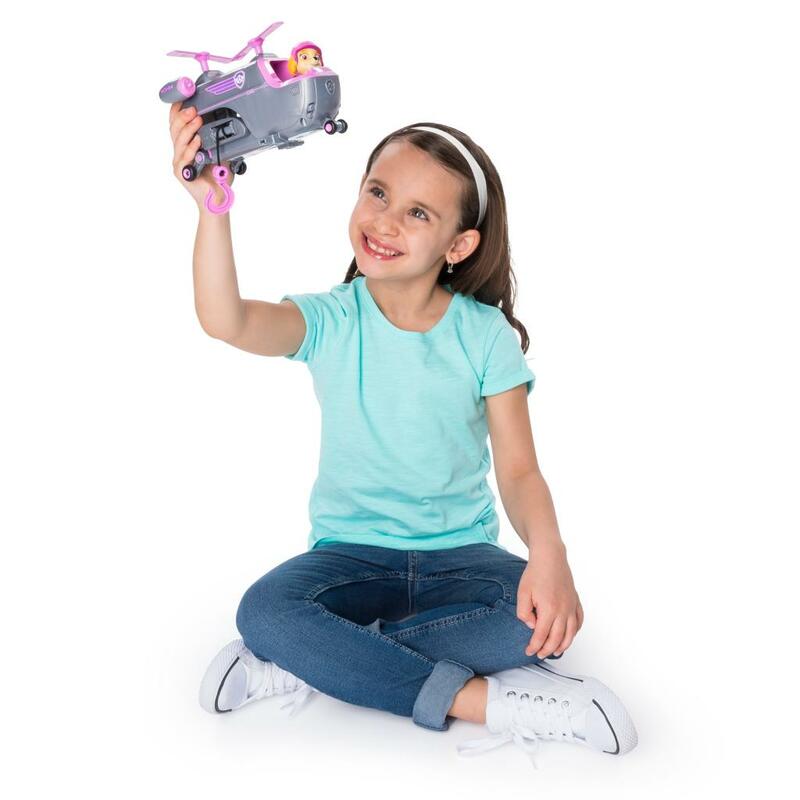 CONNECT AND PLAY: Skye's Ultimate Rescue Helicopter connects with any Ultimate Rescue Mini Vehicle! 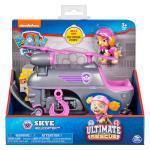 Attach Skye's Helicopter to Marshall's Mini Fire Cart or Zuma's Mini Hang Glider and take off as a team! Each sold separately. 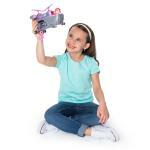 Skye's Ultimate Rescue Helicopter is a great gift for kids aged 3 and Up. Collect all the pups' Ultimate Rescue vehicles and go on an action-packed adventure!